A – We have received your request for information for your family's trip to New York City to celebrate your daughter's 10th birthday. She's one lucky young lady!! 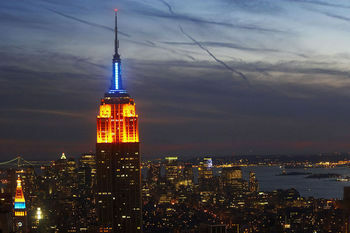 There are many stories on our site about things to see and do and places to stay in New York. I have gathered together the following titles for you to look at on www.familytravelforum.com. Please review them and then let me know what you are interested in seeing and doing, and we will be happy to set up a logical itinerary for you so that you can cover as much as possible, without exhausting yourselves. Regarding kid-friendly restaurants: In addition to many chain restaurants that you may be familiar with, there are a multitude of casual restaurants serving cuisine from all over the world – Italy, China, Greece, the Middle East, India, Japan and others, run by families who welcome kids. And, if you crave basic American food, there are many low key restaurants serving burgers, chicken, salads etc. Once we have an idea of your sightseeing itinerary, we can offer some specific suggestions. "Cheap New York City Airport Transportation"
"Our Family's Trip to New York, Rhode Island, Boston and DC"
"Top 10 Getaway for Family Travelers – New York City, New York"
"New York, New York Activities And Attractions"
"Free Travel Fun In New York"
"Manhattan Movie Madness: New York's Film Locations"
"Summer 2009 New York Harbor Tours: Rolling on the River"
"New York City Budget Hotels"
"New York's Best Family-Friendly Hotels"
Next Article Next Article Are Luxury Cruises Worth the Big Bucks? We have lots of stories about traveling with kids in New York City and we are happy to help you plan a customized visit, so you can make the most of your time. Get in touch!